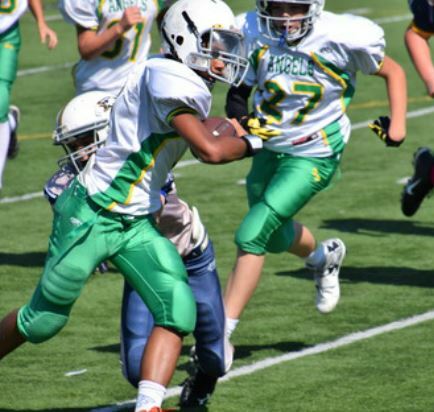 )﻿﻿ Students in 7th and 8th grade play in the Parochial (PAL) Football League. Practice and games times and locations vary throughout the week and weekends. ​The season runs from early August through November and cost is $120. St. Patrick's flag football program is an intramural league for students in grades K-5. Students it will be separated into leagues based on grade level. Practices vary throughout the weekday and games are on Sunday afternoons. There is a one time jersey fee that is good for micro soccer, flag football and t-ball. ​The season runs from early September through October and cost is $50.